This is just a straight up brag post. 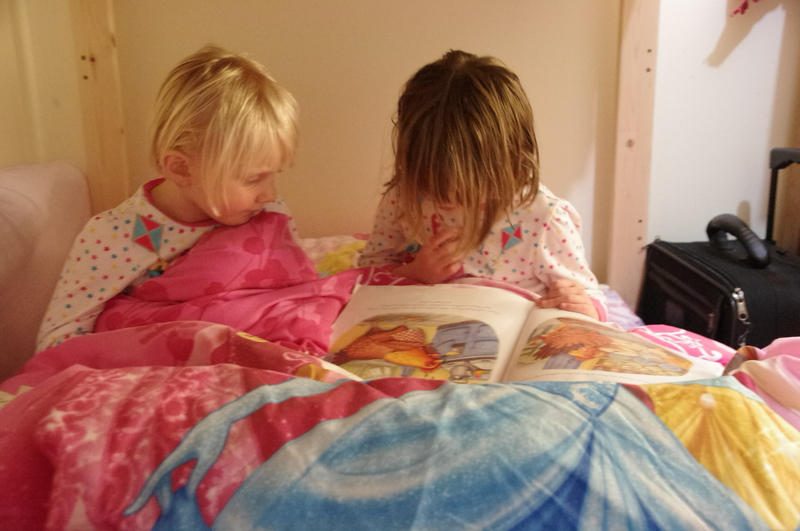 Elspeth, who is not yet five, is pictured here reading Henny Penny to Evelyn. Sounding words out, correcting mistakes, clearly not simply reciting from memory. Elspeth’s reading is just incredible and I am constantly amazed at what she reads, and how quickly she reads. The other day she glanced at my computer screen for a moment and then said, “I saw you type ‘eye roll. '” She’ll read product and brand names in shops, even things we don’t buy or have in our house. She’s quite the clever clogs! This entry was posted in Family and tagged elspeth, reading. She is a clever clogs!